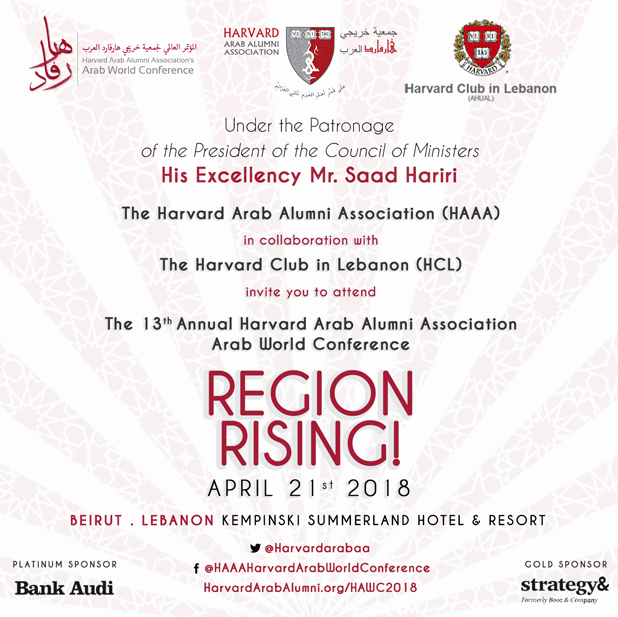 The Harvard Arab Alumni Association (HAAA) in collaboration with the Harvard club of Lebanon (AHUAL) is delighted to invite you to attend our 13th annual Harvard Arab World Conference (HAWC) , which will be held in Beirut, Lebanon on Saturday, April 21st, 2018 at the Kempinski Summerland Hotel and Resort. This conference is open to both Harvard and non-Harvard affiliates. Free Harvard admissions Seminar: Seminar on Harvard admissions process for Lebanese high school students and graduate students (5-7pm). Registration details on Eventbrite on a first come first serve basis. Space is limited. Gala Dinner (8:30 pm - 10:30 pm): Join us for the closing Gala Dinner (Pier78 Kempinski Summerland Hotel & Resort). Registration details on Eventbrite. Will feature an exclusive Lebanon tour with the leading local agency. The trip will be a great chance to experience the beautiful scenery of Lebanon and to network with fellow HAAA members. For complete information about the tour itinerary, please see the relevant section on the website. Please send an email to the HAAA Program Director, Noha Ragab, at info@harvardarabalumni.org if you have any questions about the upcoming event. We look forward to welcoming you in Lebanon!! Networking Dinner at the Main Restaurant: Attendees must pay individually for the dinner, as it is not included in the conference package. Panel 1A: Creating Future-Ready Citizens: How Can Education Create Citizens Who Can Navigate The Increasing Demands Of A Rapidly Evolving Economy? 02:30pm – 03:30pm Plenary 2: Arab Health : Thriving Or Surviving? Due to the regional crisis, and the cost of the resulting big inflow of refugees into Lebanon and due to increasing trade deficits, to the large budget deficits, to a ballooning public sector, the Lebanese Economic growth declined steadily since 2011 when growth reached 9% to around 1.5% today. In parallel, the decline in oil prices of the past 3 years impacted negatively the crucial remittance from Lebanese community working in oil producing countries in Africa and the Middle East. 1-The potential for improving economic prospects after a fresh commitment by all parties to tackle corruption, and undertake structural reforms. 2-The situation of the thriving Banking sector and its expected additional future role in financing PPP projects at hand. 3-Is it realistic to expect efficient implementation of the CEDRE Conference decisions? What is its expected impact on growth and employment in case it succeeds? Would it push the debt burden to more alarming levels? 4-How to succeed in undertaking crucial structural reforms needed in view of the political hurdles existing? 5-The means to bring back foreign direct investment given the present environment. 6-Recommendations to induce a “Lebanon Rising” from this point on! •	Dr. Marwan S. Barakat, Group Chief Economist and Head of Research, Bank Audi s.a.l. While other economies are transitioning to renewable energy, Lebanon is in the process of exploring potential oil and gas. In December 2017, the Lebanese Council of Ministers awarded exclusive licenses to the benefit of a consortium of three companies (Total S.A, Eni International BV and JSC Novatek) for the exploration and production of petroleum offshore, in the Lebanese Exclusive Economic Zone. The exploration and production agreements were officially signed on 9 February 2018. It is now up to Lebanese leaders to use this new resource responsibly, amidst a stagnant economy, an environmental and humanitarian crisis, and regional tensions. How can we ensure the sector puts the needs of the citizens first? How do we ensure the government and private sector work hand in hand to promote good governance, transparency and enhance accountability mechanisms in the sector? How can we forecast the future of Lebanon’s oil and gas industry – in particular its impact on the Lebanese socio-economic landscape, environment and relations with the neighboring petroleum producing countries? The recent crisis in Qatar and the on-going conflict in Syria and Yemen highlight thefragility and changing nature of our national borders be they land, sea or air –from open borders of exchange to closed barriers of conflict, moving front lines and refugee gateways. This panel will discuss the in-between spaces of borders and their marginal territories that represent barriers to the Arab regions growth but can also present opportunities for collaboration for border regions and communities. It addresses these questions through the lens of art, design, landscape and urban planning – looking at how infrastructure, economy, water, food, biodiversity and culture can become catalysts to overcome borders in curating new design and planning visions for the future. Through ecological and regenerative planning, multi-stakeholder initiatives and participatory design that include regional partners, international and local NGOs, artists and scientists, the panel will include local, regional and international speakers working across borders to create new visions of cooperation in the Arab Region. •	How can we transform borders from zones of conflict to zones of cooperation? •	What are the new paradigms and approaches for dealing with the problems of physical borders in areas of conflict and political tension? •	How can we go beyond the physical barriers and beyond the conflict to create new visions for the future? The Arab World continues to show the highest youth unemployment rates in the world by a significant margin and particularly for women. Providing young adults with the best opportunities for a productive life calls for investing in education and training of the highest possible quality, providing them with valuable competencies, giving them access to social protection and basic services, and levelling the playing field so that all aspiring youth can become productive citizens regardless of their gender or socio-economic background. At the same time, it requires investments in growing markets and jobs to cope with an ever-increasing number of youth transitioning out of the education system into the world of work. This panel will host regional experts from both the public and private sector to discuss the future of work in the region. CREATING FUTURE-READY CITIZENS: HOW CAN EDUCATION CREATE CITIZENS WHO CAN NAVIGATE THE INCREASING DEMANDS OF A RAPIDLY EVOLVING ECONOMY? The world is amidst an age of innovation, technology and automation. It has been estimated that over 800 million jobs in MENA will be replaced by autonomy by the year 2030. With the rapidly-evolving economy, it is fundamental that our educational institutions target the skills that meet the demands of the future. We cannot avoid this transformation. Thus the questions that are at the core to enable this include: How can the region create citizens best equipped with the qualifications that will support their growth during this transformation? What is the shift that established institutions should engage in to to enable this? What is the role of private sector and civil society within this shift? This panel consists of an extraordinary unit of experts, policymakers and scholars whose fields of work rely on action plans for this shift in the MENA region. Human Rights are meant to be universal. The principle of universality of human rights has been emphasized by the Universal Declaration of Human Rights and has been reiterated in numerous international human rights conventions, declarations, and resolutions. However, the universality of human rights conflicts with cultural relativism. This conflict is palpable in the Arab states. On one hand Arab states that have adopted the Universal Declaration of Human Rights and have adhered to several international human rights instruments have registered their reservations regarding certain provisions on religious or cultural grounds. Some States have even considered themselves not bound by provisions that conflict with “the norms of Islamic law”. On the other hand, Arab States have adopted regional human rights instruments such as the Cairo Declaration on Human Rights in Islam and the Arab Charter for Human Rights that did not ensure the protection of certain rights that have been recognized in other international instruments. Consequently, all human rights are not granted the same protection in the Arab world. The panel will explore this issue while outlining the challenges of attempts to reconcile the universality of human rights with the particularities of the Arab world and offering suggestions that would ensure a greater protection of human rights in the region. ARAB HEALTH; THRIVING OR SURVIVING? MENA region contains multiple medical tourism hubs. Many Arab countries have invested billions into their healthcare systems, with top notch medical centers. However, there has not been significant health impact across the Arab world or breakthrough contributions to the medical innovation. Cases of malpractice and absence of implementation of international guidelines still exist. Additionally, many countries lack a medico-legal ecosystem that can protect physicians and patients. Cost escalation, inefficient services, coupled with poor lifestyle practices, prevalence of non-communicable diseases, and large influx of refugees continue to place a significant strain on the medical infrastructure. Yet, despite all the challenges, many Arab countries have had successful examples that could be extrapolated to other areas. The panel will discuss potential of Arab societies in advancing healthcare across the region, overcoming challenges, and roles of governments, industry, and philanthropists in promoting cost-effective and innovative cross-country quality care. Being an entrepreneur in the Arab world is a category in and of itself, with a regionally unique set of challenges and opportunities. Our culture does not reward failure the way it might be celebrated in Silicon Valley. Young Arabs are encouraged to become engineers, doctors, or lawyers – skills that are transferable across borders and countries. Our investment strategies do not encourage risk, when stability is a celebrated virtue in countries that have been wracked with geopolitical conflict. And when many countries have been reliant on oil for revenues, the safety nets that support their citizens also deter risk-taking. And yet, somehow, the region is buzzing with activity in a way that few outside the Middle East and North Africa would expect. What are the success factors of these entrepreneurs, and what steps should we be taking to promote better entrepreneurship in the Arab world? The region has seen a recent emergence of interest in focusing on well-being and happiness, both from governmental perspective and from private enterprises. Workplaces are competing for talent not just by offering higher salaries, but also by offering fun and fulfilling workplace environments. Millennials are demanding purpose and fulfillment from their careers, unlike generations before. The UAE even has a Ministry devoted to happiness! Experts in the area of happiness and well-being, from the Middle East and from the USA, will discuss well-being and happiness research, as well as initiatives across the region. Are we experiencing a shift in collective thinking and a re-prioritization of what is important? What can governments do to promote happy citizens? Join us as academics, government representatives, and mental health specialists discuss these topics! In this exciting event, several Middle East-based startups will compete for a chance to win over $20,000 in cash and in-kind services. The startups represent several industries including healthcare, fintech, consumer tech and education. Each company has 5 minutes to pitch to a panel of judges and the live audience and another 5 minutes to answer judges' questions. Join us for an inspiring and innovative event! Selection is highly competitive. Those selected to participate in the competition will pitch to a panel of judges on the day of the conference. The judges will assess each team’s business based on its future commercial and/or social potential and the likelihood of achieving that potential. The Harvard Arab Alumni Association is pleased to announce that it will organize a workshop for high school and college students on admission to Harvard undergraduate and graduate programs. A representative from the Admissions office at Harvard University will also be attending in person. We have negotiated exceptional group room rates at the Kempinski Summerland Hotel and Resort. We have blocked a limited number of rooms in each of the three to meet the different budgets of our attendees. As these rates are highly discounted, please note that bookings are “non-refundable”. ●	Above rates are subject to 11% VAT. Book now by sending an email to Reservations.Summerland@kempinski.com mentioning the conference name. 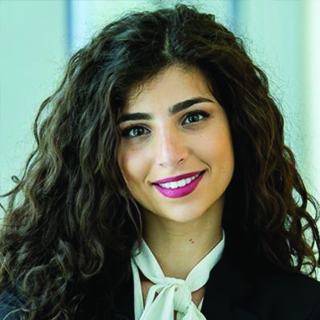 Carine Abi Akar is a Senior Engagement Manager at McKinsey & Company where her works largely focuses on government strategy, education, technology, and innovation. Prior to joining McKinsey, Carine was the founding co-manager of Edraak, the Arab region’s first nonprofit online MOOC platform in Arabic, leading the launching effort. At Edraak, Carine oversaw the development and deployment of the platform and educational content. Carine holds a Masters in Education from the Harvard Graduate School of Education and a Bachelor of Science in Computer Engineering and Science from the Massachusetts Institute of Technology. She has completed projects with Daimler AG, Alstom Transport, and the Office of Naval Research. Carine is from Lebanon, and has lived in 7 different countries to date. Her passions include traveling and eating good food. Jihan R. Khattar is a partner with the law firm Khattar Associates in Beirut, Lebanon. Khattar holds an LL.M. degree from Harvard Law School with a concentration in Corporate Law and Governance (LL.M 2007). She also holds a Bachelor’s of Law degree from St. Joseph University (2005) and a B.A. degree in Business Administration from AUB (1991). Jihan R. Khattar is a member of the Beirut Bar Association and is currently a member of the board (Secretary) of the Harvard Club in Lebanon (AHUAL). Born in Muscat, Ms. Al Saleh was brought up outside her hometown for most of her childhood. A graduate from Columbia University and a recipient of the prestigious Fulbright Scholarship, Ms. Al Saleh is a Deputy Managing Director at TRACCS Oman, overseeing the implementation of key PR programs for Clients in addition to serving as a Specialist in Corporate Social Responsibility. She is recently graduated with a Master’s Degree in Public Administration (MPA) at Harvard University - Kennedy School of Government. Ms. Al Saleh’s career stems from serving numerous high-level managerial positions as a Programme Specialist at UNICEF overseeing all government programs related to Health, Social Development, Education and National Economy and Director of International Relations at the Ministry of Social Development. Her experience with the government and exposure to international agencies has allowed Ms. Al Saleh to serve as strategic counsel for a wide variety of Clients. She has also been instrumental in mainstreaming Corporate Social Responsibility programs and initiatives for all clients and finding innovative ways to add value. 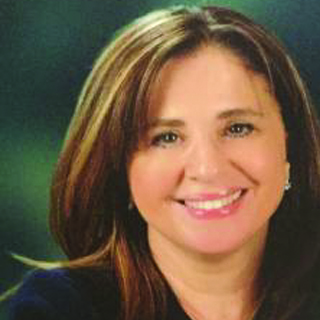 Noha holds a master’s degree in Public Administration from San Jose State University. She has experience working on political campaigns as a campaign organizer such as Obama’s first presidential campaign. 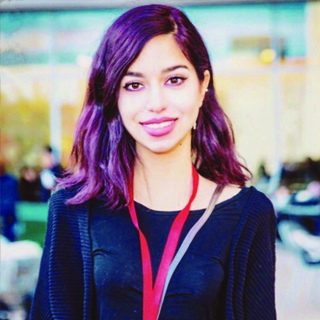 Noha has a background in journalism where she worked as a writer and editor at several publications in the Arab World as well as US-based publications. She has also worked as a writer, interviewer, and translator for documentary films and TV stations such as WGBH, a PBS-affiliate TV station. Throughout her career, Noha’s focus has always been on non-profit organizations ranging her work from grant writing to event organizing. In the past couple of years, Noha has been heavily involved in cultural awareness and training with different places of worship, police departments, and civil rights organizations in an effort to lend a voice to those communities that are underrepresented and often racially or politically profiled. Nicole Abi-Esber is a behavioral science researcher currently at the Behavioral Lab in Stanford University's Graduate School of Business. She will start her PhD in Organizational Behavior at Harvard Business School in September 2018. She is Lebanese-American. Nicole is a graduate of Harvard University (MA) and Tufts University (BA). Her previous research experience includes field studies with the Government of Dubai, and lab research with the Tufts University Psychology Department. She has international work experience in the startup and technology industry (USA, UAE, Lebanon, Iran). She also has teaching experience at the university level, at Tufts University. She speaks Spanish, Arabic, and Persian. Nicole is interested in happiness, well-being, and job satisfaction. 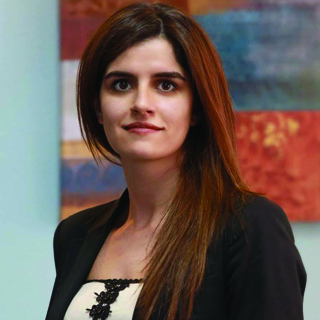 Rina Constantine is an international arbitration lawyer and a law lecturer at the Lebanese American University. 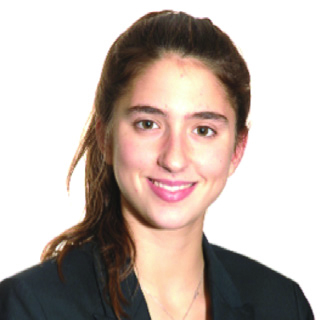 Prior to moving to Beirut, Rina was an associate at Bredin Prat, one of the best law firms in Paris, where she acted as counsel in large scale and complex arbitration proceedings. 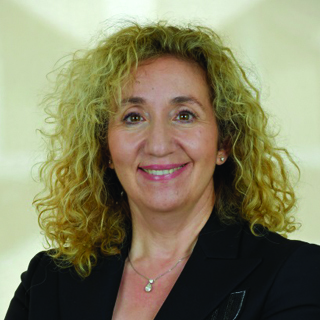 She was part of the Bredin Prat team that represented the Lebanese State in a high profile investment arbitration case brought against Lebanon before the World Bank's International Centre for Settlement of Investment Disputes (ICSID). Rina holds a Master of Laws from Harvard Law School and a Bachelor of Laws from Saint Joseph University of Beirut. She was awarded a medal of excellence on the occasion of the centennial celebration of the Faculty of Law and Political Sciences of the Saint Joseph University. 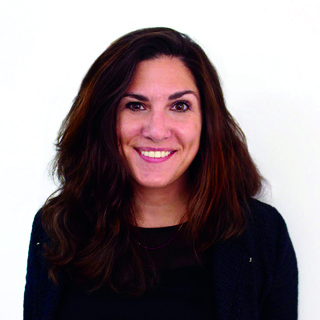 Nadine Abi Akar is an educational specialist with a focus on child development and psychology. While pursuing her graduate studies at Harvard Graduate School of Education (HGSE) and her undergraduate studies at the American University of Beirut (AUB), Nadine delved into youth-related projects, courses and research that focused on early childhood and K-12 education as well as childhood wellbeing, both in practice and policy. Nadine has also been published in the Journal of Experimental Psychology for her work from her time at Harvard's Affective Neuroscience and Development Lab, which studied decision-making behaviors of adolescents. She is passionate about improving quality and equality in education for all Arab Youth. Nadine is Lebanese, born and raised in Saudi Arabia. 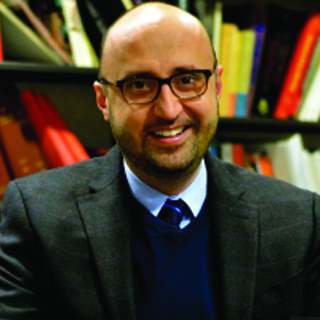 Najib Hage-Chahine is a Professor of Private Law at the Faculty of Law and Politcal Sciences at Saint-Joseph University (Beirut) and at Paris 2 Panthéon-Assas University (Paris). He is a Lawyer and a Member of the Beirut Bar Association. Najib Hage-Chahine holds the title of agrégé of the French Faculties of Law, a PHD in Private Law from Paris 2 Panthéon-Assas University, a LL.M. from Harvard Law School, a Master 2 in Private Law from Faculty of Law and Politcal Sciences at Saint-Joseph University and Master 2 in Criminal Law from Lyon 3-Jean Moulin University (Lyon). He has numerous publications in the fields of Private Law, Alternative Dispute Resolution, Arbitration, Mediation and International Law. Khaled Kteily is a Senior Manager and Global Leadership Fellow at the World Economic Forum, where he works on the Middle East North Africa team. In his role, he manages high-level government relationships and runs projects supporting Arab entrepreneurship & innovation. Most recently, he managed a project to identify the '100 Arab Start-Ups Shaping the Fourth Industrial Revolution', which brought together top entrepreneurs from 18 countries in the Arab world. He now serves as an Advisor to expand this initiative to regions including Latin America and South East Asia. He has a Master's in Public Policy from the Harvard Kennedy School of Government. Khaled is Palestinian and grew up in Beirut, Lebanon. Karim is currently founding the first university in the Himalayan region of Ladakh in northern India with a group of entrepreneurs to emphasize environmental sensibility in the local community. At the same time, he runs the NGO Keelonga in his home country of Madagascar, which now provides free tuition to over 2,500 children and restores school premises in the event of cyclones and floods. The first man from Madagascar to ever enroll at Harvard College, Karim holds a degree in Philosophy as well as a secondary in Economics. The “Mind, Brain, and Behavior Track” he pursued within Harvard’s department of Philosophy allowed him to explore the repercussions of Neurobiology and Psychology on the world Philosophy, and vice versa. Hanine Estephan (MPH, Sc.D) is a health expert with over 10 years of experience in healthcare operations, strategy& management. 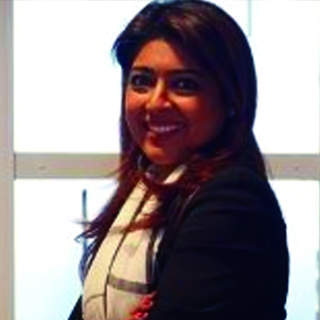 Hanine is a senior engagement manager at Oliver Wyman – Dubai office in their global healthcare practice. 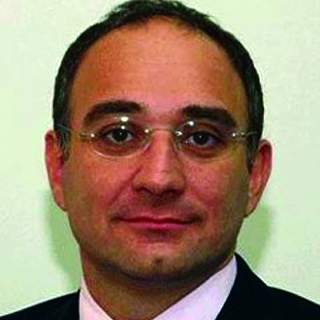 Dr. Estephan is also an advisory board member at Mindberry- UK. A start up focused on providing remote counseling for mental health diseases using a digital platform. She holds a doctorate degree in Epidemiology from Harvard T. Chan School of Public Health, a Master’s degree in Health Management and Policy and a Bachelor degree in Medical Science Technology from the American University of Beirut. 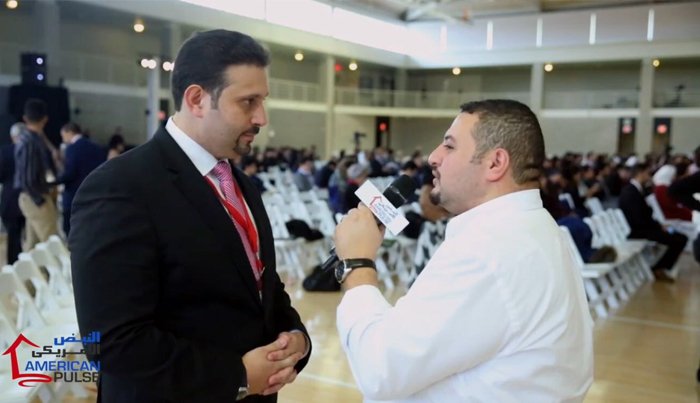 Bassem Nasir is a Washington DC international development expert with over 17 years of experience with special focus on the Middle East region where he was based for many years. He has extensive leadership experience in education, youth development, entrepreneurship, training, sustainability, and corporate responsibility having developed and managed several global public-private multi-stakeholder programs. Currently, he is an independent consultant providing technical expertise, research capabilities, partnership matching servinces, and staff recruitment support to organizations in the implementation and design of projects focused on life skills, employment, entrepreneurship, and civic engagement. 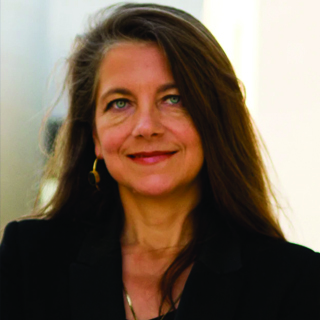 Dr. Anna Grichting is an architect, urbanist and musician from Switzerland, graduated with a Doctor of Design in Urbanism from Harvard University. She is currently Assistant Professor in the Department of Architecture and Urban Planning at Qatar University, teaching courses in Sustainable Architecture, Urban and Landscape Design, and Architectural Design Projects. She is interested in holistic and systems approaches to Design and her academic experience includes teaching at the Universities of Geneva and Harvard, developing an Education Initiative for the Aga Khan Award for Architecture and teaching the Balkans Peace Parks Academic Expedition Summer Course. Her research interests include Public Art and Public Realm, Food Security and Food Urbanism in Drylands, Urban Biodiversity, Urban Forestry, Blue Urbanism and the Urban Legacies of Mega Events, and Healing Ecologies in Border Landscapes of Conflict. 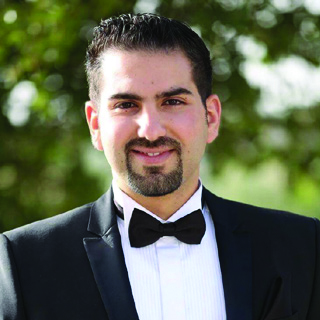 Mohammad Hajjiri is a member of the board of trustees of the King Hussein Cancer Foundation-USA. By profession, he is an interventional electrophysiology expert and cardiologist with two provisional patents in cardiac stem cells. He is passionate about positive change in the Arab world through education and entrepreneurship. He founded H2e (Hajjiri Health for e-ducation) which employs latest technology in virtual and augmented reality in healthcare education. He is also Editor-in-chief of Edraak-Medicine currently building the largest online medical case library in the Arab World, and created the MOOC “Healthy Hearts” which had an enrollment of close to 15,000 online students through Edraak.org. Dr. Hajjiri holds an MD from Ain Shams University, and cardiovascular specialties from Harvard, Tufts and NYU, where he was mentored by world renowned physicians like Larry Chinitz, Sylvia Priori, Ahmed Tawakol and Charles Love. His hobbies are exploring good restaurants, technology and shopping at the apple store. Aya is an Advisor at an international justice organization, where she works on establishing individual criminal responsibility of high-level perpetrators implicated in the violation of International Criminal and Humanitarian Law in the Middle East. 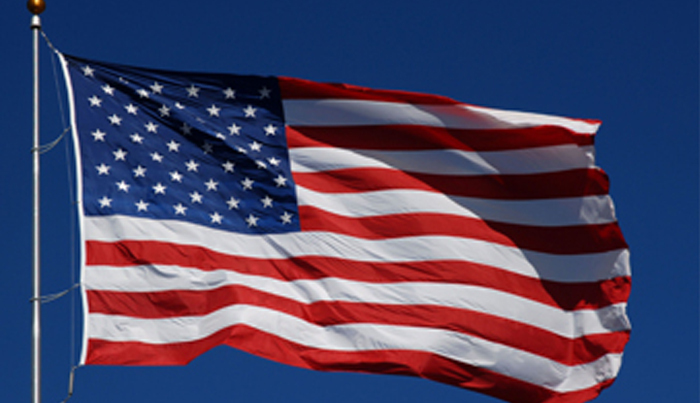 She also provides legal and policy advice to national judicial authorities on the investigation and prosecution of war criminals in Europe and North America. 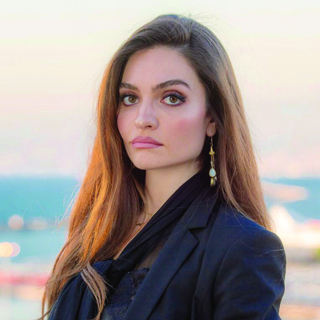 Aya has worked for Harvard Law School’s International Human Rights Clinic, the Government of Lebanon, and several think tanks. Her work focused on the implementation of policies that advanced the rights of Syrian and Palestinian refugees in the Middle East. In 2015, Aya co-chaired Harvard Arab Weekend, the largest pan-Arab conference in North America. Aya holds an M.A. in Middle Eastern Studies from Harvard University and a B.A. (1st class) in Politics, Psychology, and Sociology from the University of Cambridge. Determined to make a difference in young children’s lives, Mrs. Nora Joumblatt joined the Executive Committee of the Children’s Cancer Center of Lebanon (CCCL) in 2005; and was elected Chair of the CCCL in 2015 for the period January 2016 until December 2018. The CCCL is a regional reference center for the complete treatment of kids with cancer and is affiliated with St. Jude Children’s Research Hospital in the U.S.A and works in close association with the American University of Beirut Medical Center. In response to the recent Syrian crisis, Joumblatt founded and chairs the Kayany Foundation in 2013, which offers support and education to Syrian Refugees in Lebanon. She is also the President of the National Rehabilitation and Development Center, supporting children with special needs; and is also member of the board of Al Shouf Cedar Reserve which was awarded the Uno Bosco per Kyoto 2006 Prize by the Italian Ministry of the Environment for its many achievements over the years. Mrs. Joumblatt still sits as President of the Beiteddine Art Festival, one of the leading festivals in the Middle East; which she co-founded amidst the Lebanese civil war in 1985. H.E. 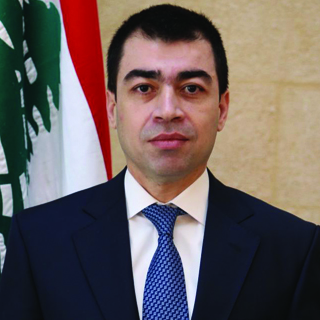 Cesar Abi Khalil, serves as Minister of Energy and Water, in the Government of Lebanon since December 2016. Abi Khalil also serves as a member in a number of ministerial committees. Prior to taking on the office of Minister, Abi Khalil served in the role of Advisor to the Minister of Energy and Water as well as Advisor to the Minister of Foreign Affairs starting in 2009. In his role as advisor to the Minister of Energy and Water, Abi Khalil played an instrumental role in setting the strategy as well as legal and operation frameworks for the sector. Prior to joining public service, Cesar Abi Khalil led the life of a political activist, joining the Free Patriotic Movement in 1989 and quickly rising through the ranks to his current position. He ran for Parliamentary elections as a representative of the Free Patriotic Movement in 2009. In parallel to his public activism, Abi Khalil’s private industry endeavors included the role of founder and director of Fundamentals S.A.L, a real estate construction company with development projects spanning Lebanon and Iraq. Abi Khalil holds a masters of civil engineering degree from St Joseph University of Beirut. 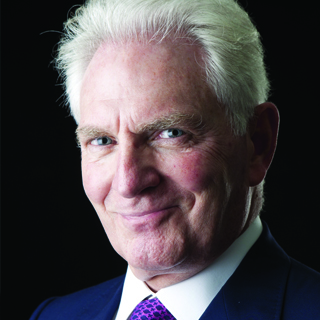 Dr. Nasser Saidi is President of Nasser Saidi & Associates a niche consultant and advisor to the banking & financial sector, governments, central banks, regulators, multi-national and regional companies He is the former Chief Economist and Strategist of the Dubai International Financial Centre. 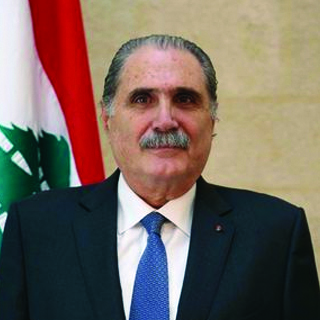 Dr. Saidi served as Minister of Economy and Trade and Minister of Industry of Lebanon and First Vice-Governor of the Central Bank of Lebanon for two mandates. He is Chair of the MENA Clean Energy Business Council, a member of the advisory board of the Lebanon Oil & Gas Initiative (LOGI) and a member of the IMF’s Regional Advisory Group for MENA and a member of the Advisory Board of the Official Monetary and Financial Institutions Forum (OMFIF). He is the founder & former CEO of the Hawkamah Institute for Corporate Governance & the Mudara Institute of Directors. 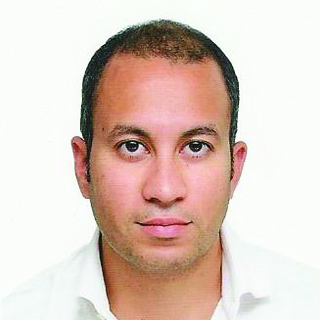 He is active in Fintech, corporate governance, crowdfunding and seed funding in MENA. Maher Abouzeid is the President & Chief Executive Officer of GE Healthcare Eastern Growth Markets, driving the continued growth and expansion of the GE Healthcare brand across the region. Maher has over 25 years’ experience in the healthcare industry with an unwavering passion for healthcare transformation strategy, building sustainable healthcare delivery models by focusing on outcome-based activities, patient experience, efficiency and cost out. He also consults several public-sector providers to support their digitization efforts and vision. Maher is a seasoned expert in start-up operations and channel partner management, and has held leadership roles covering business development, strategy, service, operations and marketing. Maher joined GE Healthcare in 2007. and has since assumed various managerial roles across Middle East, Africa & Turkey region. 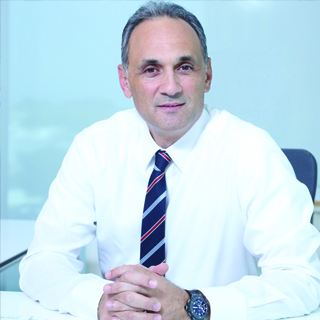 Prior to this Maher led 3M’s Healthcare and served as DePuy Franchise Director at Johnson & Johnson, managing growth of both companies across Middle East region. Maher studied Biochemistry at the American University of Beirut before graduating from Haigazian University in Lebanon, and is Six-Sigma Green Belt Certified. He lives in Dubai with his wife and two boys. 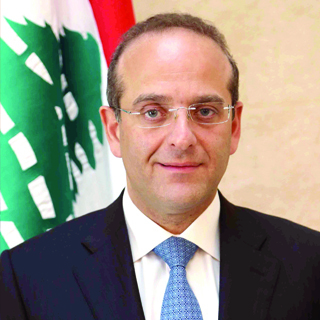 His Excellency Elias Bou Saab was named Minister of Education and Higher Education in Lebanon in February 2014. Minister Bou Saab, co-founded the American University in Dubai, the first US accredited university in the Gulf and has overseen its development into one of the premier institutions higher education in the region. As Minister of Education, Bou Saab was charged with overseeing the Lebanese education system and addressing and managing the pressing challenges created by the influx of Syrian refugees that has nearly double the school-going population in Lebanon. 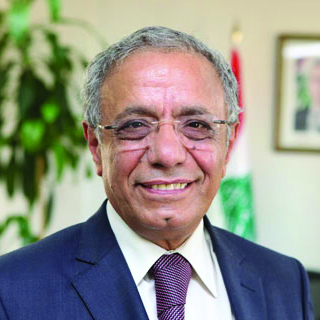 Minister Bou Saab proposed five actions to lay the groundwork for a comprehensive solution: creating an emergency support office in the Ministry of Education, rehabilitating existing schools and establishing new schools, incorporating all education activities under the formal education system, improving the quality of public schools, and strengthening the national education system. The plan aimed to be implemented with the support of the United Nations Special Envoy for Global Education Gordon Brown, UNICEF, UNCHR, the World Bank, DFID and USAID. Bou Saab is the Executive Vice President of AUD, and over the past two decades, has garnered vast experience in international higher education, working in such varied areas as establishing new institutions/programs and scholarships; negotiating and implementing educational collaborations with many major universities in the US and Europe; and advising governments on higher education and other investment projects throughout the Arab world. Maha Bahou has been Executive Manager of the Payment Systems, Domestic Banking Operations and Financial Inclusion Department of the Central Bank of Jordan since July 2011. Overall she has been with the Jordanian Central Bank for 29 years, working in different positions. She gained most of her experience in the Treasury Department at the Central Bank of Jordan. She holds a master degree in Banking and Finance, and a bachelor degree in Economics and Business Administration. In 2010/2011 Ms. Bahou spent one year as a senior consultant at Philadelphia Consulting Group in Libya. She also has experience as lecturer at the University of Jordan and as trainer in cooperation with Philadelphia Consulting, the Institute of Banking Studies, the Central Bank of Jordan and different NGO’s. She holds a leadership and strategic management certificate from Sandhurst, UK. In addition, Ms. Bahou is a certified mentor by the King Abdullah Centre for Excellence Award, a certified assessor by the European Foundation for Quality Management, and she has been awarded by King Abdullah II as the Distinguished Government Leader for the year 2016. In March 2014, Ms. Bahou joined the Bill & Melinda Gates Foundation’s Digital Financial Services (DFS) Platform Enablers group in support of financial inclusion for the poor, with a purpose to shape the delivery of effective digital financial services through a robust, open and low cost platform. In 2016, she completed the “Leadership in Financial Inclusion” program from Fletcher School- Tufts University – Boston. Ms Bahou is the Head if the DFS Working Group within the National Steering Committee for Financial Inclusion Strategy in Jordan. She is an ExCom Member at CGAP, Board Member at Karandaaz, and the Chair of the Digital Payments sub group within Jordan Digital Economy Strategy. Ahmad Saleh is Partner and Head of Patents & Designs (R&D and Innovation) at Al Tamimi & Co (the largest law firm in the Middle East), currently based in Dubai, UAE. Ahmad is a Canadian attorney and engineer coming with over 12 years of higher education studies in law and engineering and 12 years of experience in intellectual property, technology and commercial law through a wide range of industries covering ICT, healthcare, aerospace & defence, transport, energy and oil & gas. Ahmad assists a wide range of regional and international clients in the private and public sectors in the protection of their innovations, and the management and enforcement of underlying IP rights and contractual IP agreements locally and internationally. Ahmad also advises on high level innovation strategies, legislative, regulatory, innovation policies, processes, and innovation fostering. Ahmad assisted in fostering and protecting more than 120 inventions originating from the UAE alone through the last couple of years, and in managing more than 1500 patent matters regionally and internationally. Ahmad is one of the most experienced patent lawyers and innovation councils in the Middle East and is widely recognized for his strategic and visionary thinking and leadership. Ahmad sits on several committees/advisory panels including the Global Advisory Panel of the UAEU Science & Innovation Park and the Innovation Committee of Dubai Healthcare Authority in addition to his advisory role in many other organizations. He is regularly invited to speak at innovation events and has been interviewed for various television channels, newspapers and magazines in relation to innovations, entrepreneurship and intellectual property, including Dubai TV, Emarat TV, the National, International Bar Association, Thomson Reuters and has extensive publications. Habib is the honorary president of the Harvard alumini Association of Lebanon and actual president of the Harvard business school club of Lebanon. He is the main founder of both associations. Habib is holder of a B.S in management an M.A. in political science, an MBA in finance and a PhD in economics. 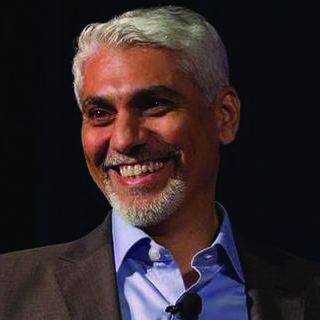 Habib was professor of finance in the MBA program at New York university, Stern School of Management, and taught in the executive program at INSEAD university in France. He worked on Wall Street for several years and was vice president at J.P. Morgan Chase bank and is presently in business as Chairman of several companies operating in 3 countries. He published in a variety of world known international newspapers and he wrote a book entitled ‘‘Loubnan : Tarik Al Nouhoud’’ published by the prime lebanese publisher Dar Al Nahar and introduced by Patriarch Sfeir in which he outlines his vision of how Lebanon’s ills could be fixed. Minister Khoury enjoys an extensive and diversified banking and financial experience with a focus on Wealth Management, Investment Banking Services and Brokerage. 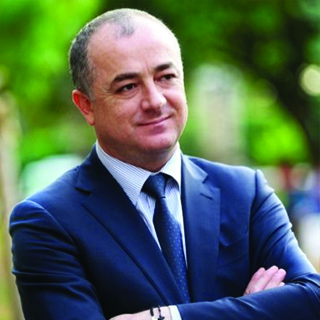 Minister Khoury is one of the Founders of Cedrus Invest Bank and Cedrus Bank sal. As a former director at Barclays Wealth, he was in charge of a team of Bankers covering the MENA and Gulf regions. He spent more than 7 years at Bank Audi Group where he held managerial positions in banking services covering Lebanon, Switzerland and Kingdom of Saudi Arabia. He is married to Carole Abi Habib and has two children: Ray and Karen. Ramy leads the sales operation across Lebanon and Dubai at Bayt.com, the Middle East’s #1 Jobsite, managing large teams across both geographies. He brings to his role over 15 years of experience in sales and management. 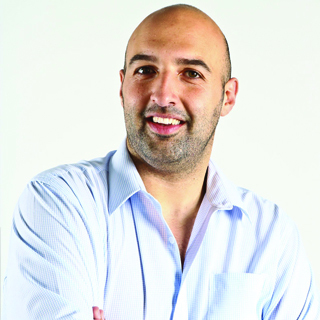 During his long career with Bayt.com, Ramy has held a variety of positions in the organization. Today, his key responsibilities include developing, executing and driving strategic sales plans.Ramy is particularly passionate about building relationships with his team in order to guide and coach them to succeed. His passion and dedication has influenced many people around him and has helped millions of applicants land bigger job opportunities in pursuit of living a better lifestyle. Alan Tabourian is an industrialist working in the process and discrete industry and is currently Chairman & CEO of Interbrand, a food and beverage manufacturer and distributor located in Lebanon. He is Vice Chairman of Compagnie des Sources du Liban (Sannine) and a founder of TopCat Industries, a resent startup involved in Sheet Metal and Truck Body & Trailer manufacturing. Alan has held ministerial portfolios in several Lebanese cabinets including Minister of State (2004), Minister of Youth & Sports (2005) and Minister of Telecommunications (2005) and Minister of Energy and Water (2008). Alan holds an undergraduate degree in computer science from the University of Southern California and an M.B.A. from Harvard Business School. He is currently a member of the Harvard Business School MENA Global Advisory Board and is a founder of the Harvard University Club of Lebanon where he previously served as vice-president and was formerly vice-president of the Harvard Business School Club of Lebanon. Alan also served on the Finance Board and the Executive Board of the Lebanon Chapter of the Armenian Apostolic Church and is an elected member of its governing body. 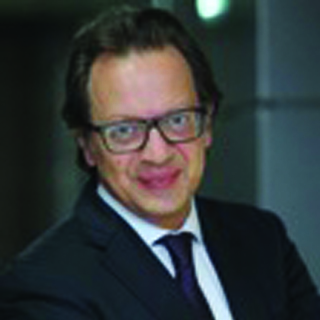 Dr. Marwan S. Barakat, Group Chief Economist and Head of Research, Bank Audi s.a.l. 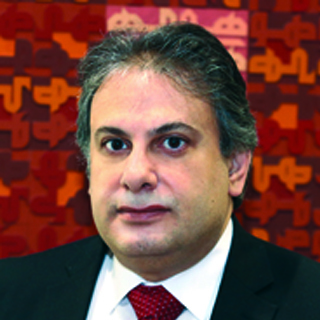 Dr. Marwan S. Barakat is the Group Chief Economist and Head of Research at Bank Audi s.a.l. Dr. Barakat actually heads the Research Department of the Bank since the mid-1990s. The Bank’s research covers a wide range of weekly, quarterly and annual economic, sectoral and market reports, considered a reference source on the MENA region’s economy and sectors of activity. 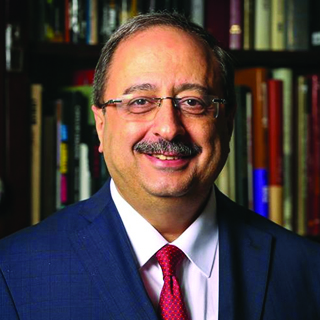 Dr. Barakat holds BBA and MBA degrees from the American University of Beirut and a PhD degree in economics from the University of Leeds in the United Kingdom. He held various teaching positions at the Lebanese American University and at the American University of Beirut and lectured in a large number of conferences and seminars in Lebanon, the MENA region, Europe and the United States. Born in 1953, Mr. Nabil Itani is an architect and acting since 2005 as Chairman and General Manager of Investment Development Authority of Lebanon (IDAL ), Lebanon’s national investment promotion agency. His career spans over three decades of professional achievement in the architectural field. His professional experience is wide-ranging and far-reaching, encompassing design of landmark projects in Lebanon and the Arab World. 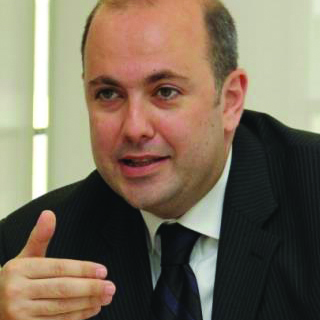 He has also various accomplishments in the public sector in his capacity as head of Lebanon’s investment promotion agency; his experience is vast in that regard, encompassing – foreign direct investment attraction. Mr. Itani has been a key decision maker and participant in a number of legislative committees of high standing in the architectural profession in Lebanon and the region. His achievements in this context encompass his contribution to a proposal amending legislative decrees on construction laws; to laws fr engineering practice in Lebanon; and to the by-laws, regulations, and structure of the Order of Engineers and Architects. He is a member of the Union of Arab Architects and the Union of International Architects. As Chairman and General Manager of IDAL he has contributed to enhance the professional and technical contributions in the investment field, he has been a decision-maker in the implementation of the Investor’s Support and Information Center (ISIC) as well as in IDAL’s studies related to the implementation of the EU-Lebanon Association Agreement (a study on the assessment of IDAL’s export promotion programs and another on investment opportunities in the ICT sector). Recently, he was part of the ministerial committee that has been appointed to amend decrees pertaining to Investment Law No.360 and which are guaranteed to increase investments to the country through more lucrative investment incentives. Mr. Itani has also spearheaded IDAL’s shift to the digital era through making sure that investor servicing is enhanced using modern technology and digital communication. He is also a member of committees in international and regional organizations pertaining to enhancing business and trade between Lebanon and the respective regions, as well as a speaker in various conferences and forums. Throughout his career, Mr. Nabil Itani has actively been designing, overseeing, implementing and supporting new strategies to attract investments to the country in multiple sectors. He continues to seize every opportunity to highlight Lebanon’s assets and to urge investors to take advantage of the many opportunities emerging from its growing economy. 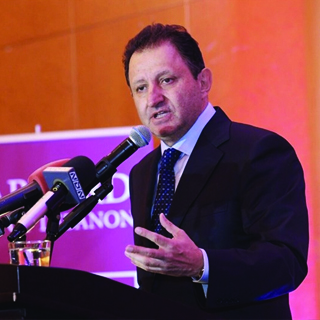 His efforts stem from an unshakable faith in Lebanon as a capital and investment destination of choice. Salim Jreissati is the current Lebanese Minister of Justice. He also served as the Lebanese Minister of Labor from 2012 till 2014. He is an attorney at Law and a member of the Beirut Bar Association and was a member of the Lebanese Constitutional Council from 1997 till 2005. He is a lecturer at the Faculty of Law and Political Sciences at Saint-Joseph University. 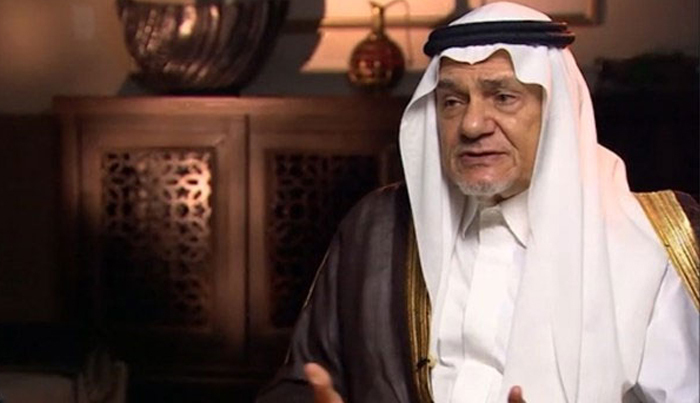 He is also the acting President of the “National Society for Safeguarding the Constitution and the Law” and a founding member of “The Levantine Encounter”. 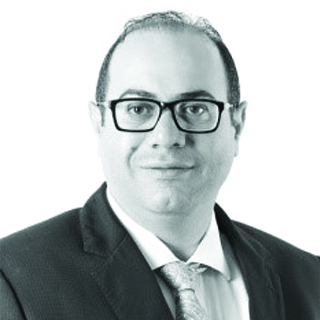 He holds Lebanese and French degrees in law from the Faculty of Law and Political Sciences at Saint-Joseph university and a Diploma of Higher Studies in Private Law (DES) from the Faculty of Law and Political Sciences at Saint-Joseph University. He is the author of numerous constitutional, legal, political, economic, and financial studies, lectures, and papers, in Arabic and French. He was awarded the National Order of the Cedar with a rank of Commander, and a golden Order of Merit. 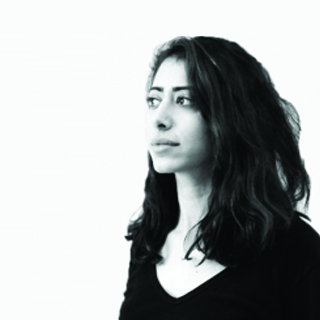 Nathalie Ackawi is a Partner and Co-Director at the Beirut Art Residency (BAR), a non-profit institution for regional and international artists in Beirut. Nathalie previously held a position as Exhibition Manager at Leila Heller Gallery in New York prior to moving back to Lebanon. Her experience entails overseeing group and solo exhibitions working closely with artists, curators and scholars. Nathalie continues to work on independent projects in Beirut such as exhibitions, auctions and various art projects. Nathalie holds a BA in Business Administration from the American University of Beirut and an MA in Art and Museum Studies from Georgetown University in Washington, DC. Vijay is the Managing Director of Techstars Dubai Accelerator. Techstars is a worldwide network that supports entrepreneurs through its mentor-driven accelerator program. Backed by Techstars Ventures, it has invested $300MM in over 1,200 start-ups over the past 10 years, now has a current portfolio valuation is estimated $12BN. Prior joining Techstars, he was the former Global CEO and Chairman of the Entrepreneurs' Organization (EO) based in Washington D.C.; with its extensive global network in over 60 countries. At EO he has led the growth of 13,000+ leading entrepreneurs whose combine revenue of $600billion, through world class peer-to-peer learning programs and resources. Early in his career Vijay served in senior executive roles namely in retail and manufacturing firms. As an entrepreneur, he has founded several start-ups. Also, throughout his life has taken up leadership and boards roles on several non-profit entities, such as the Young President Organization (YPO International), Richmond University (U.K.) and the 16th Commonwealth Games. Vijay has previously lived and worked in Washington D.C, Kuala Lumpur, Singapore, Hong Kong and London. Now based in Dubai, he remains proactive in the international entrepreneurial ecosystem as an investor, mentor, and speaker. Souraya Machnouk is a partner at Abou Jaoude & Associates Law Firm, the largest multi-practice law firm in Lebanon, and previously worked at Norton Rose Fulbright in Paris. With more than fifteen years of experience, Souraya has significant expertise advising on energy, project finance, acquisitions, and banking transactions. Notable mandates of the Firm in the Energy sector include advising NOVATEK (Russia's largest independent natural gas producer) as part of the TOTAL-ENI-NOVATEK consortium who was awarded two exploration and production licenses for Blocks 4 and 9 located offshore Lebanon; Two of the three winning bidders on the first-of-its-kind Power Purchase Agreement entered into with the Lebanese Government for the wind power project; A leading joint venture on the tender for the provision of Electrical Power Generation Plants using the ECW modality; and working on the Legislative Framework Study for the Transport and Energy Sectors in Lebanon, a component of the UNDP Sustainable Oil and Gas Development Project for Lebanon. 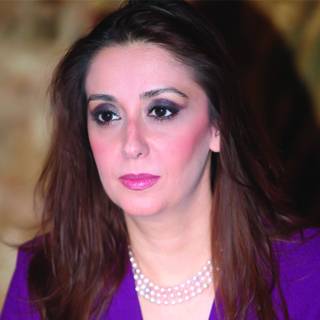 Souraya holds a Masters in French and Lebanese Law from the Saint Joseph University, with a double major in private and public law, an Advanced Graduate Degree (DEA) accredited by the University of Paris II-Assas, and a Master of Laws (LLM) from George Washington University (joint program with Georgetown University). She is the author of several publications, including the Lebanon Chapter of the Energy Regulation and Markets Review. Souraya is consistently recognized as a Leading Lawyer by prominent international directories, including The Legal 500 and Chambers & Partners. Christina is the Managing Director of Endeavor Lebanon, an economic development non-profit organization that catalyzes long-term economic growth. 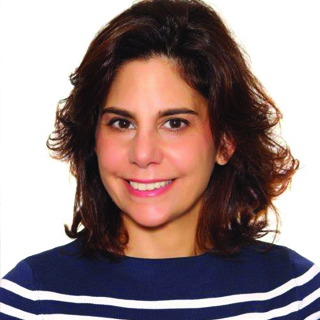 Endeavor, headquartered in New York, with a presence in more than 25 countries internationally, selects, mentors and accelerates successful high-impact entrepreneurs worldwide.Christina has more than 13 years of experience in financial advisory, venture capital and entrepreneurship support. She spent the previous 5 years as a Director with Endeavor Lebanon leading the organization’s Partner, Mentor and Investor Networks. Prior to Endeavor, she was a Venture Partner for MEVP, a Beirut-based venture capital fund. Before her return to Lebanon, Christina was an M&A Associate Director at Nomura Code Securities in London, leading several Biotech transactions in the UK and Europe. She also covered healthcare, consumer goods and retail as part of HSBC Investment Banking M&A team in London and Paris. 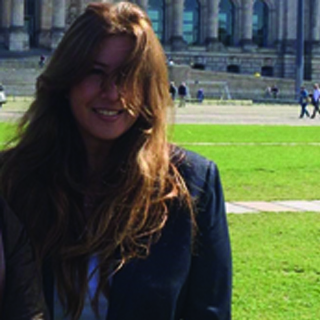 Former to her banking experience, Christina was a product manager at Novartis Pharma France and started her career as a researcher at the American University of Beirut Biology department. She holds an MBA from the ESSEC Business School in France as well as an MSc and BSc in Biology from the American University of Beirut, Lebanon. Christina is married with three children. 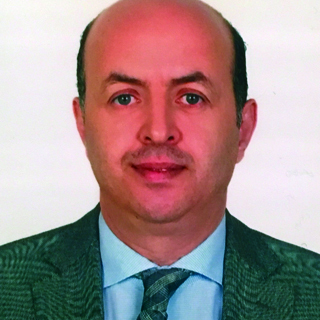 Mohamed El-Kalla is the Chief Executive Officer of Cairo for Investment and Real Estate Development (CIRA), currently Egypt’s largest investor in the area of private education. CIRA holds more than 16 affiliate companies and brands, including Futures Educational Systems, Rising Stars, Mavericks and Badr University. CIRA has invested in 25 campuses, serving more than 26,500 students around Egypt, and with plans to expand regionally. Following a 10 year career in the United Nations that focused on development and corporate sustainability, El-Kalla founded Ahead of the Curve (ATC) consultancy, offering technical assistance to private sector on Corporate Social Responsibility issues. In 2011, Ahead of the Curve restructured into a leading regional sustainability management think tank focused around inclusive economies, as El-Kalla believed that the region was in dire need to develop a locally sensitized think tank that works on supporting the realization of a MENA based model for sustainability. El-Kalla is a specialist in private sector sustainable development, educational and BOP investments, and corporate governance and corporate social responsibility. 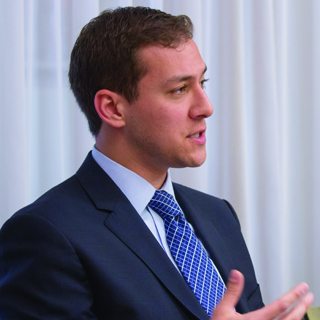 A graduate of the American University in Cairo, he majored in political science with a specialization in international law and a minor in development studies. He started his career in UNHCR, moving on to UNV, UNRC, and UNDP, where he supported the foundation of the Global Compact Network in Egypt, and other countries around the MENA region. El-Kalla is responsible for the creation and management of more than 100 developmental projects and partnerships, involving the private sector, including the setup of the Egyptian Responsibility Center and the Center for Transparency at the Ministry of Investment. 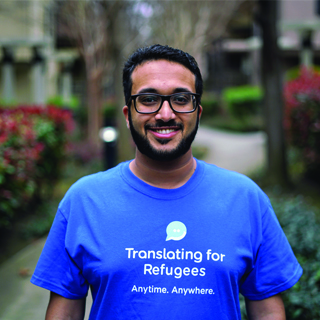 Aziz is the Co-Founder of Tarjimly, a tech nonprofit that enables bilinguals to volunteer as realtime translators for refugees. He leads the technical product development efforts leveraging the latest technologies in social messaging and machine learning to provide a translator for every refugee in need. Previously, he worked as a Software Engineer at Palantir in Silicon Valley enabling data-driven decision making in finance, aircraft manufacturing, and oil & gas. His final project used Big Data to optimize global aid delivery and made him realize the powerful role technology can and should play in increasing the efficiency of humanitarian services. 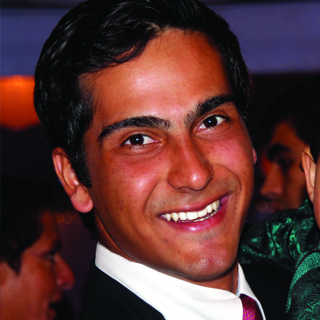 Aziz received his Bachelors and Masters degrees in Computer Science, with a focus on Machine Learning, from MIT in 2015. Mrs. Bou-Diab was appointed as the Chief Operating Officer of AM Bank s.a.l on February 15, 2000. In September 2017, she was selected by the World Union of Arab Bankers, to head the Women Empowerment Group for the financial and banking sector in the Arab World. Nahla has been recognized as a credible leader, earning 5 awards for leadership excellence since 2015. She has been featured in the media on multiple occasions to share her expertise on organizations, gender diversity and managing change. With over 35 years of experience in Management in Canada and Lebanon, Nahla led the restructuring of several organizations in Canada including her contribution to the reorganization of the Central Bank of Canada. 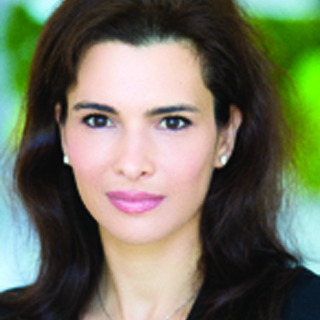 Nahla moved to Lebanon in 1997 to launch Management Consulting Services for Ernst & Young – Lebanon. 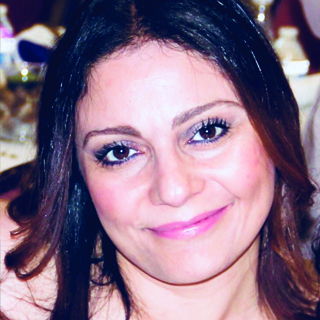 She taught “Change Management” in the Executive MBA program at American University of Beirut for 10 years, until 2017.Nahla has an MBA, she is a Certified Management Consultant and is in the final stages of earning her Doctorate Degree in Business Administration from University of Liverpool, England. 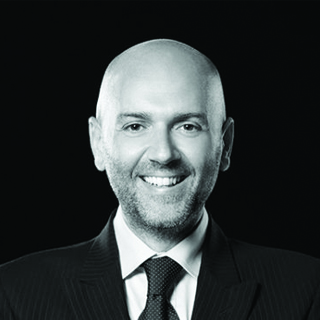 Walid Tohme is a Beirut-based Partner with Strategy&, and a member of the firm’s Health and Digital Business practices. He works with major healthcare providers, payors, and ministries of health across the GCC. He specializes in strategic and operational transformations, healthcare investment strategies, post-merger integrations, and joint ventures. Additionally, he is one of Strategy&’s experts on digitization and Big Data, and leads the firm’s efforts in this area in the Middle East. He has more than 40 publications to his name in leading healthcare and technology journals and has co-authored multiple firm reports. Walid speaks regularly at major international conferences. He joined Strategy& (formerly Booz & Company) in 1998, leaving in 2003 to join Georgetown Medical Center, Washington D.C., as a professor and division COO. He rejoined the firm in 2008. Walid has a Ph.D. from Paris Sorbonne University in the management of health systems, and an MBA, as well as master’s and bachelor’s degrees in electrical engineering, from Georgia Tech in the U.S.
DDr. 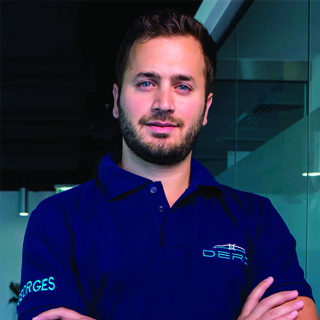 Georges Aoude is the CEO and co-founder of Derq, an MIT spin-off with a mission to eliminate road accidents for both conventional and autonomous vehicles using patented artificial intelligence and connected vehicle technology. Derq has been hailed in the media, including CNN, BBC, TIME, and TechCrunch as the leading advanced technology start-up in Dubai. In 2017, Derq was only Middle East start up to be selected to join the prestigious Techstars Mobility program in Detroit, and opened an office in Michigan to expand operations and business to the US market. See recent BBC (http://tiny.cc/DerqOnBBC) and CNN (http://tiny.cc/DerqOnCNN) coverage of Derq. Dr. Aoude holds a Ph.D. and M.S. in Aerospace Engineering from MIT, where he worked closely with NASA, US Navy, and Ford. Dr. Aoude is also an inventor and his patented work in connected and autonomous technologies has been featured in the press, including New York Times, Wired, and MIT News. His satellite research has also been tested and validated in the International Space Station in collaboration with NASA. Dr. Aoude has consulted governments and global companies in North America and the GCC for more than 10 years. His points of view are regularly published in key outlets including Harvard Business Review, Forbes and Brink. He is a board member of the Transportation Research Board and the MIT Arab Alumni Organization. Dr. Leila Hoteit is a Partner and Managing Director with the Boston Consulting Group in the Middle East and a member of the public sector practice where she leads the education and human capital development business. She has 17 years of strategy and operation experience acquired through various projects in the Middle East and Europe. Dr. Hoteit specializes in human capital development including education, workforce skilling, and women’s economic empowerment. She works with policymakers, regulatory authorities, and key public-sector entities on policy development, strategic planning, organizational development, and governance. Dr. Hoteit has an MBA with distinction from INSEAD, as well as a Ph.D. in signal processing and a B.Eng. in electrical engineering from the Imperial College of London. She has authored multiple patents in the field of signal processing. 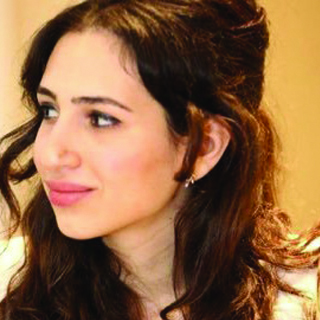 A citizen of both the U.K. and Lebanon, Dr. Hoteit is fluent in English, French, and Arabic.‎ In 2014, she was selected by the World Economic Forum as a Young Global Leader for her work on human capital development. Nadim Houry is Human Rights Watch's Director of its Terrorism and Counterterrorism Program. 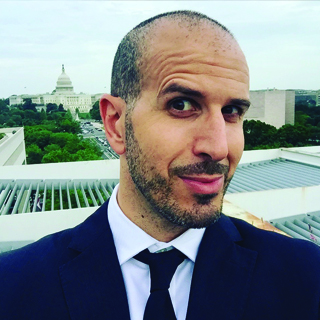 Prior to his current role, Nadim worked for a decade in the Middle East where he was the Director of Human Rights Watch’s Beirut office and the deputy director of its Middle East program. He oversaw the organization’s work on Syria, Lebanon, and Egypt and has written extensively on a range of human rights issues from women’s rights to armed conflict. Prior to joining Human Rights Watch, Houry served as deputy counsel for the Volcker Commission, where he spent more than a year conducting fact-finding missions in the Middle East as part of the United Nation's corruption inquiry into the Oil-for-Food Programme. An attorney by training, Nadim is fluent in Arabic and French. 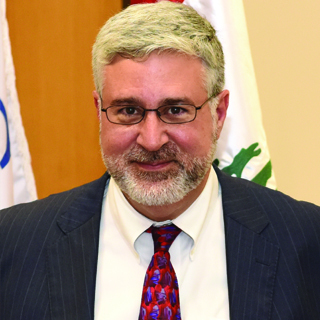 Dr. Fadlo R. Khuri is the 16th President of the American University of Beirut University (AUB), ranked as the most prestigious university in the Middle East, and Professor of Medicine (Hematology and Medical Oncology) at the Faculty of Medicine and Medical Center. He assumed office on September 1, 2015. He was Professor and Chairman of the Department of Hematology and Medical Oncology, Emory University School of Medicine, and held the Roberto C. Goizueta Distinguished Chair for Cancer Research. He also served as Deputy Director for the Winship Cancer Institute of Emory University. Dr. Khuri was also the Executive Associate Dean for Research of the Emory University School of Medicine. He has authored over 350 peer-reviewed articles and over 50 editorials and perspectives in leading journals, and written over 100 reviews and chapters. He has served for the last six years as Editor-in-Chief of Cancer, the oldest and one of the most prestigious journals in the field. His scientific work has been cited over 30,000 times according to Google Scholar, and over 17,000 times by Web of Science, where his Hirsch index is 77.Dr. Fadlo is an active member of the American Association for Cancer Research (AACR), the International Association for the Study of Lung Cancer, the American Society for Clinical Investigation, and the American Society of Clinical Oncology. Salyne is a mother of two boys and an advocate for quality education in Lebanon. Being the Chief Executive Officer of Teach For Lebanon, she staunchly believes that channeling young qualified leaders into the education sector is crucial for the development of Lebanon and that providing equity in educational opportunities for children is at the core of the nation’s well-being. She is a MEPI students leaders and Teach For Lebanon alumna. She was selected as Lebanese Youth Ambassador for the Arab Thought Foundation, she received the 2014 UN Special Envoy for Global Education’s Youth Courage Award and the Arab Creativity award in 2016. She holds a masters in Business management and studied the art of consultancy with soul through the programme Consultants for Change run by INTRAC. Ricardo Karam is a veteran talk-show host, motivational speaker and advocate of promoting Arab achievement and social causes. Since 1996, he has worked with the movers and shakers of the world to inspire Arabs to break new ground in society, culture and business. In 2010, Ricardo decided to go beyond storytelling as a means of creating impact. He reconnected with much of the guests that he worked with over the years and created a platform for Arab Achievers named TAKREEM which recognizes annually the achievements of eight Arabs that have distinguished themselves in the Arts, Culture, Sciences, Environment, Education, Philanthropy… giving them the visibility and support needed to sustain their endeavors. Ricardo spends much of his spare time adopting and promoting causes, primarily those that are youth and health related and boost cultural progress. 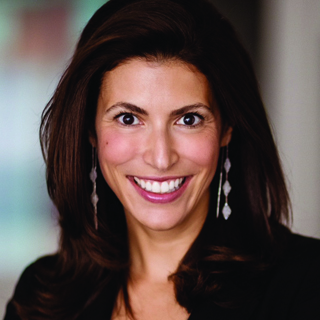 Hala Fadel is a co-founder and managing partner at Leap Ventures, a venture capital firm that focuses on global technologies companies with operations in MENA and Europe. She has 20 years of experience in finance and entrepreneurship, working as a portfolio manager for 12 years in European Equities at Comgest, a €20bn growth equity fund. In 2000, Hala founded Booleo, a telecom software business that was later acquired as an internal solution by a client. She also founded and chairs the MIT Enterprise Forum of the pan-Arab region, an organization that promotes entrepreneurship and organizes, among other things, the MIT Arab start-up competition and the Innovate for Refugee Initiative. She recently co-founded the MIT ReACT hub delivering Computer and data science certificates from MIT to displaced populations. 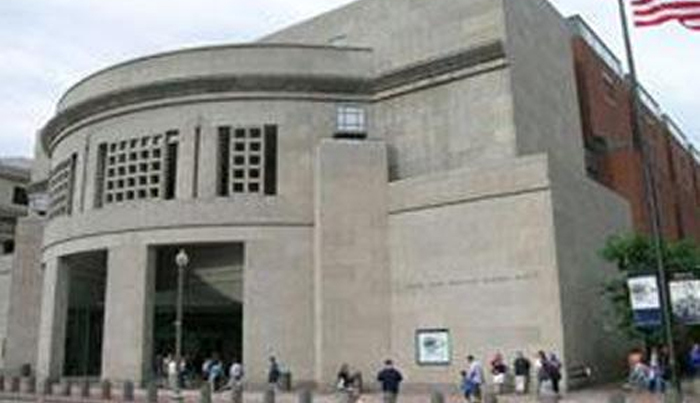 She sits on the board of the MIT Sloan School of Management. She graduated from HEC in France in 1997 with a Masters in Financial Economics and attended the Berkeley Haas School of Business, she holds an MBA from the MIT Sloan School of Management. Fellow The Jerome and Hazel Tobis at the UCI Interdisciplinary Center for the Scientific Study of Ethics and Morality Dr. Kreidie is currently a researcher at the Strategic Studies Center at the University of Jordan. Kreidie has been a lecturer of political psychology, conflict management, and peace studies since 2000. Kreidie’s academic, professional and consultancy experience included but not limited to a political advisor to prime minister of Lebanon Mr. Najib Mikati 2010-2013. Director, Middle East Prospect Forum Beirut Lebanon 2010-2012 Director of Middle East Studies Student Initiative, UC Irvine: 2007-2011 Among Kreidie’s publications Living with Ongoing Political Trauma: The Prevalence and Impact of PTSD among Syrian Refugees; 2016, The Role of non- Governmental Organizations in Tackling Sectarianism and Extremism in Lebanon: Track Two Diplomacy and Good Governance; 2015 “Religion and Identity: Deciphering the Construal of Islamic Fundamentalism” in The Future of Identity, edited by Kenneth R. Hoover, Spring 2005. Currently, Kreidie is working on the human face of conflict focusing on the narratives of Syrian refugees in Jordan and Lebanon to depict factors of resilience and dealing with adversity. This research is a continuation of a research supported by the UC, Irvine Ethics center. MP Ghassan Moukheiber, Member of the Lebanese Parliament, Rapporteur of the Parliamentary Human Rights Committee and Attorney at Law. Member of the Lebanese Parliament, representing the Metn district since 2002, member of the “Change and Reform” parliamentary group. Member of the parliamentary Law and Administration committee and Rapporteur of the parliamentary Human Rights committee and member of the parliamentary Environment committee . Chairman of the “Arab Region Parliamentarians Against Corruption” organization and Chariman of the Lebanese Chapter “Lebanese Parliamentarians Against Corruption” and Member of the “Global Organization of Parliamentarians Against Corruption (“GOPAC”). Lawyer, (U.S.J. Law Lic. ’81 and Harvard Law School LL.M. ’83). A long time activist in a number of Lebanese civil society organizations dealing with the areas of human rights, anti-corruption, democratization, the rule of law and conflict resolution. Board member of the Association for the Defense of Rights and Liberties (“A.D.D.L.”). University Lecturer, taught, lectured and wrote extensively in the various subjects of his above-mentioned commitments. Dr. Suhail Kady is a Certified Physician Executive with over 25 years of broad background experience in health care, including expertise in Healthcare system reform, Healthcare system Design, Healthcare Policy, Medical management, medical staff leadership credentialing, performance improvement, and education of staff in leadership and quality improvement areas. Dr. Kady has provided consulting and expertise work for many Governments and organizations across multiple geographies. He is also currently holding the position of Head of Health Affairs at the UAE Ministry of Presidential Affairs. Bernard Khoury studied architecture at the Rhode Island school of Design (B.F.A 1990 / B.Arch 1991). He received a Masters in Architectural studies from Harvard University (M.Arch 1993). In 2001, he was awarded by the municipality of Rome the honorable mention of the Borromini prize given to architects under 40 years of age. In 2004, he was awarded the Architecture + Award. He is the co-founder of the Arab Center for Architecture. He was a visiting professor at the Ecole Polytechnique Federale de Lausanne; l’Ecole Speciale d’Architecture in Paris and the American University of Beirut. 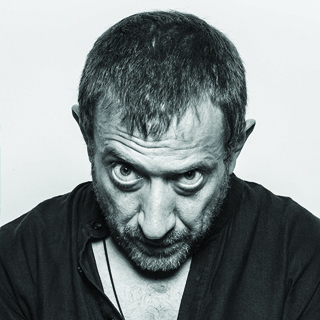 He has lectured and exhibited his work in prestigious academic institutions in Europe and the U.S including a solo show of his work given by the International Forum for Contemporary Architecture at the Aedes gallery in Berlin (2003) and numerous group shows including YOUprison at the Fondazione Sandretto in Turin (2008) and SPACE at the opening show of the MAXXI museum in Rome (2010). 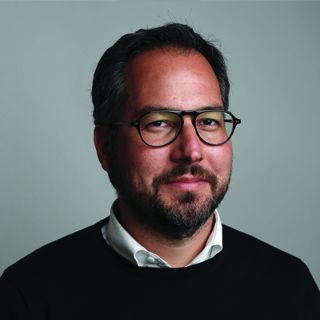 He was the co-curator and architect of the Kingdom of Bahrain’s national pavilion at the Venice Biennale’s 14th International Architecture Exhibition in 2014. His work has been extensively published by the professional press. Khoury started an independent practice in 1993. Over the past 15 years, his office has developed an international reputation and a significant diverse portfolio of projects both locally and abroad. 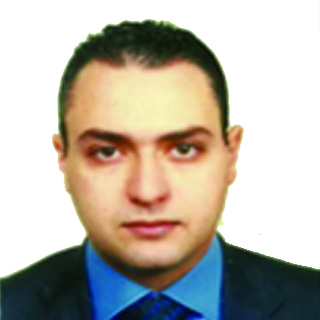 Dr. Laith Al Abbadi is a resident in Psychiatry at Jordan University Hospital. He is also a scriptwriter and actor on “N20 Comedy”, a YouTube comedy show, and a stand-up comedian. Via his clinical work and his comedy, Dr. Al Abbadi strives to de-stigmatize mental health in the region, and help people realize that depression, bipolar disorders, and other mental health challenges are real diseases. He is a public speaker on issues of mental health and depression in the Arab world, and he empowers those suffering from mental health issues to reach out for help. He also encourages the Arab community to recognize mental health as a serious issue, deserving of attention. Nour Kik is the Policy and Advocacy Coordinator at the National Mental Health Programme, Ministry of Public Health of Lebanon. She leads the development process of mental health related national strategies and plans and efforts to mainstream mental health policy in other sectors. She also leads the coordination of the Mental Health and Psychosocial Support Task Force which aims at ensuring an effective, coordinated and focused inter-agency response to the MHPSS needs of persons living in Lebanon, with a special focus on persons affected by the Syrian crisis. She has a special interest in Public Mental Health and more specifically in Public Policy and inter-sectoral coordination for policy coherence. 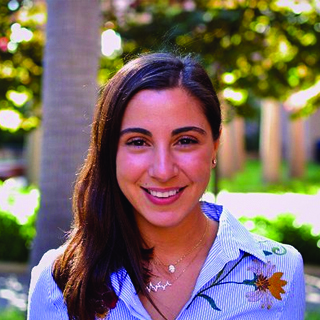 Christina Baroudi is a science academic scholar, athlete, and social activist who has earned top school honors in all academic subjects including a 2017 MUN diplomacy award. Christina was selected to represent Lebanon at the 2018 Global Young Leaders Conferences in Washington DC and NY. Christina’s academic interests lie particularly in addressing global challenges of our time, namely global energy and atmospheric pollution, refugee resettlement, women’s empowerment and citizen’s wellbeing which she had the opportunity to address at the highly acclaimed Women’s Forum in Paris. Christina is a triple star national podium athlete in swimming, skiing, and taekwondo consecutively for five years in a row. She has represented Lebanon in international competitions, including the youth International Ski Championship in Val D ‘Isère where she was selected to open the 2018 race featuring 1500 participants from 30 countries which resulted in affectionate and gracious fanfare for the LSF team and her country. Aside from her academic and athletic strengths, Christina finds happiness and fulfilment in social compassion. She engages in several yearly high profile outreach and community service activities. Having grown up in Lebanon, Christina is multi-cultural and fluent in French, Arabic, English, and 4 years of Chinese studies earned her an HSK2 level diploma. Hala received her Master’s degree in general psychology from the American University of Beirut. She also graduated from the University of Oxford in the United Kingdom with a postgraduate certificate in cognitive behavioral therapy for psychological trauma. Currently, she is pursuing a postgraduate diploma in cognitive behavioral therapy for complex presentations from the University of Oxford. Hala works as an adult psychotherapist with both outpatients and inpatients at the American University of Beirut Medical Center. 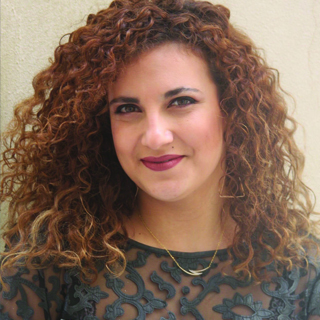 Apart from her work as a psychotherapist, Hala is also a psychology instructor at the American University of Beirut. Hala specializes in working with adults who present with trauma symptoms, anxiety, and depression. She adopts the cognitive behavioral approach in working with her clients. Under his current position as director of BIAT, he formulated, planned and executed with BIAT team more than 30 projects in the different fields of socio-economic development. Under his leadership, BIAT is recognized by many stakeholders as the success story of EU projects in Lebanon. In 2010, he acted as the economic expert on a World Bank Project , Al Fayhaa Sustainable Development Strategy Project, a strategy for the 3 cities of Tripoli, Mina, and Baddawi with 500,000 residents. As a municipal board member, he raised a fund from the private sector and restored 100 buildings in the city center of Tripoli from the colonial and ottoman eras. Former Director of ICMA global operations - MENA region. His original experience and background is in business strategy and management accounting. His educational and professional certificates are MBA, CMA, and LCPA in addition to a DBA from Grenoble Doctoral School of Management in the field of Strategic management - thesis emphasis on necessity entrepreneurs and strategies of Business Incubators. Executive director of the Lebanese Oil and Gas Initiative-LOGI, an independent non-governmental organization based in Beirut. Diana is responsible for the successful leadership, management and operations of LOGI as per the strategic direction that entails developing a network of Lebanese experts in the global energy industry and providing them with a platform to educate Lebanese policy makers as well as Lebanese citizens on the key decisions facing the oil and gas industry. LOGI focuses on public awareness, policy development and advocacy to help Lebanon maximize the economic and social benefits of its oil and gas wealth.